Various lifelike replicas of apes dot the museum in central Spain , made from non conventional materials, standing in more as motifs than art forms, and brought to life by the creative mind of design artist Gilles cenazandotti . 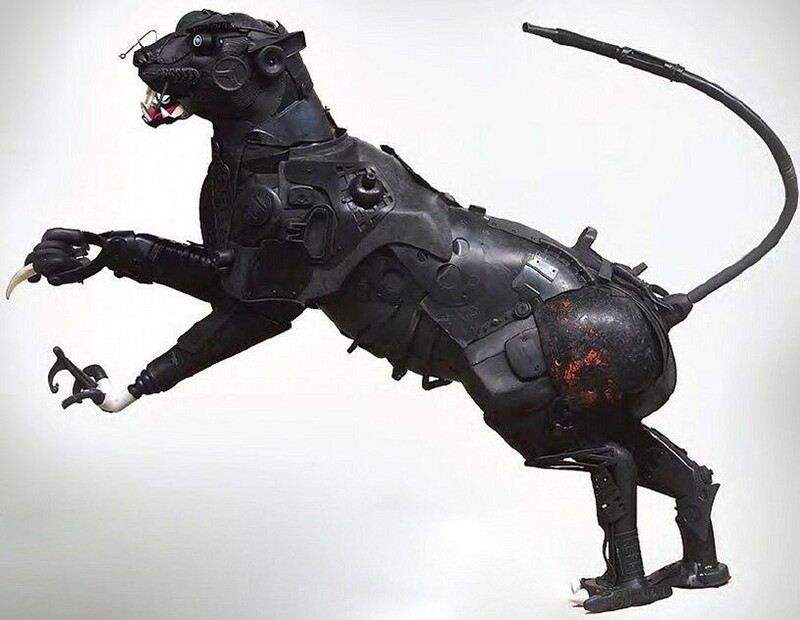 These sculptures do more than offer aesthetic sensibility to the space, as they seek– through the artist creation — to more than visualise effects of some what human excess to our planet, in form of waste and in length attract attention to animal welfare. 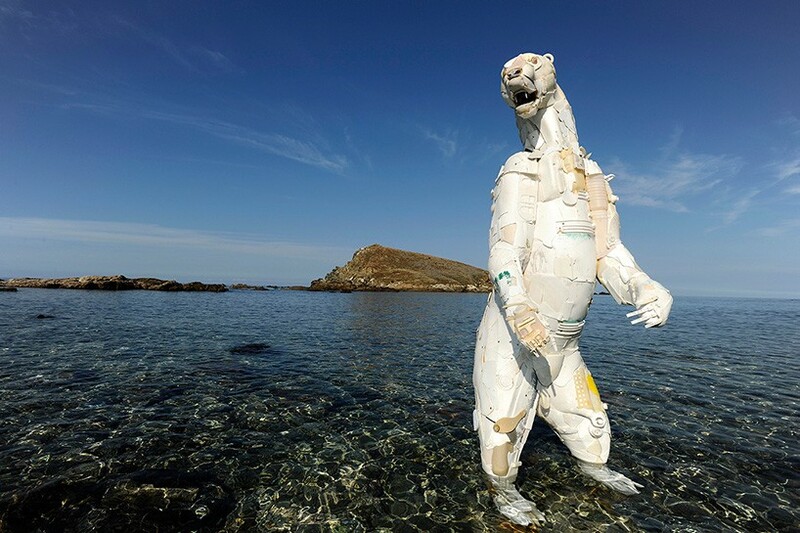 Cenazandotti uses garbage, and random wastes collected from the piles of washed up materials on the shores of his homeland beaches. 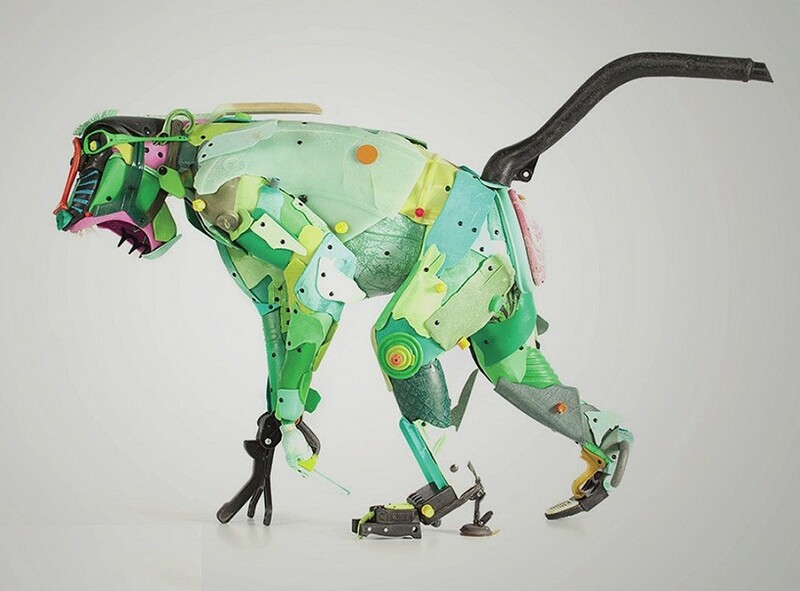 But to create his ” semi-robotic” , sculptures of endangered animals — such as the baboon and the polar bear– He had to spand hours shifting through materials. 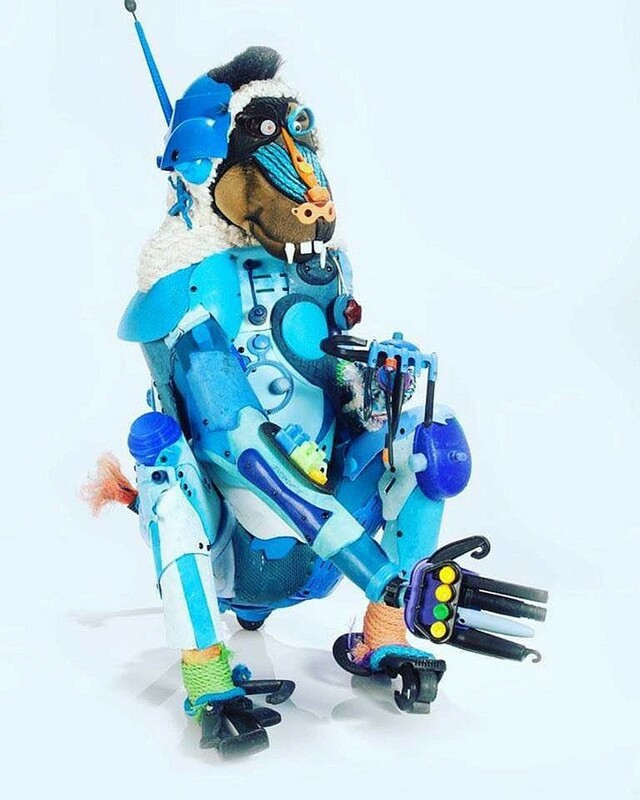 among cenazandotti’s found objects are plastic bottles, combs and children’s toys. 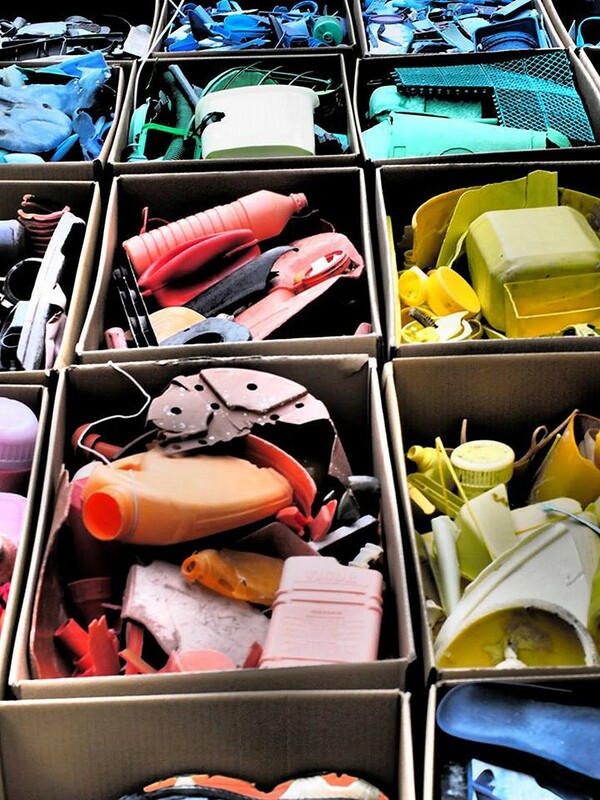 his materials are entirely plastic, rejected from the ocean and unadulterated from the state in which they have been found. 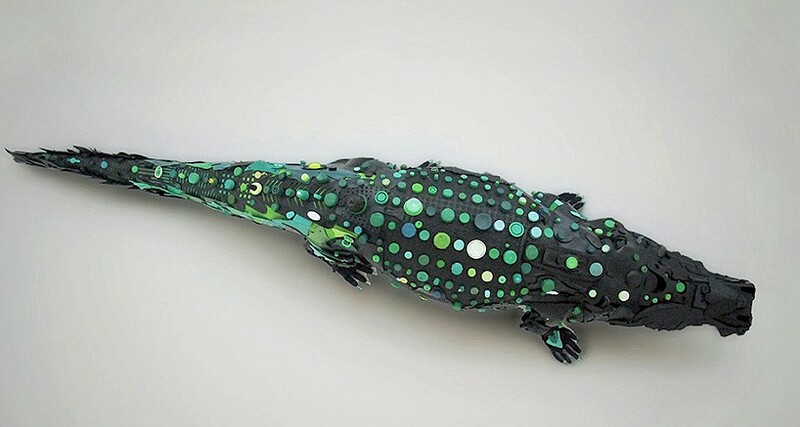 the artist plays on irony, creating the beautiful animals from by-products of petroleum—a substance that is largely to blame for destroying their natural habitats and surrounding environments. 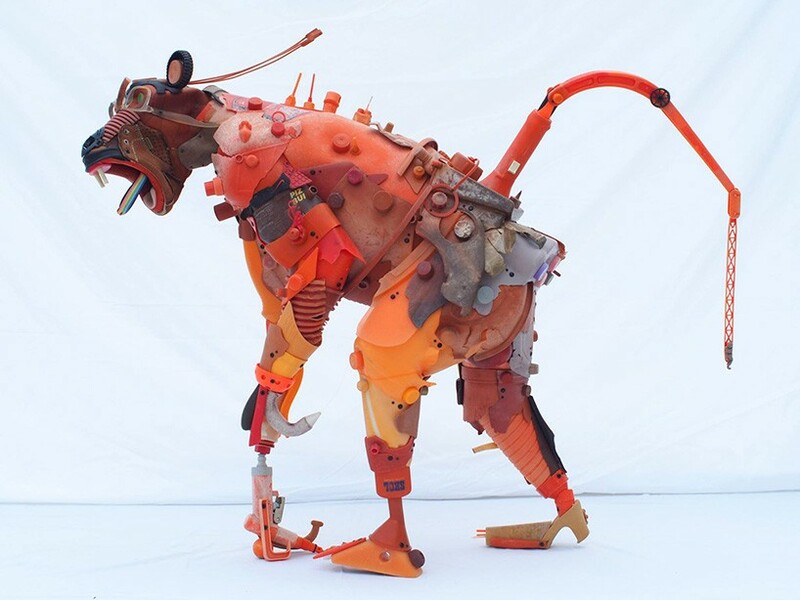 his work highlights man’s forcing of animals to adapt to new, different habitats, and at the same time points towards a limit, when the sea can no longer absorb human waste. An abundant of mediums and materials to choose from is an unfortunate situation and, is testament to the fact that excessive the human waste is to blame for the near-extinction of these species. through his sculptures, the corsican artist attempts to show ‘a technological paroxysm where man tries to imitate nature through artificial recreation.’ his science fiction-like sculptures at once appealing and uncomfortable reinforce the idea that natural creation is far from human representation.previosly the head of a design company, cenazandotti has made a name for his unique style. the artist has collaborated to create site-specific design commissions with fashion designer jean paul gaultier and realized a series of interior fabrications with interior designer philippe starck.